This guest post is by Whitney Blankenship, Content Marketing Manager for Omnisend. When not writing awesome content, Whitney is reading up on the latest in digital marketing, ecommerce, and social media trends. Obsessed with pop culture, art, and metal. Powered by coffee. Fastest Googler in the West. Follow on Twitter. 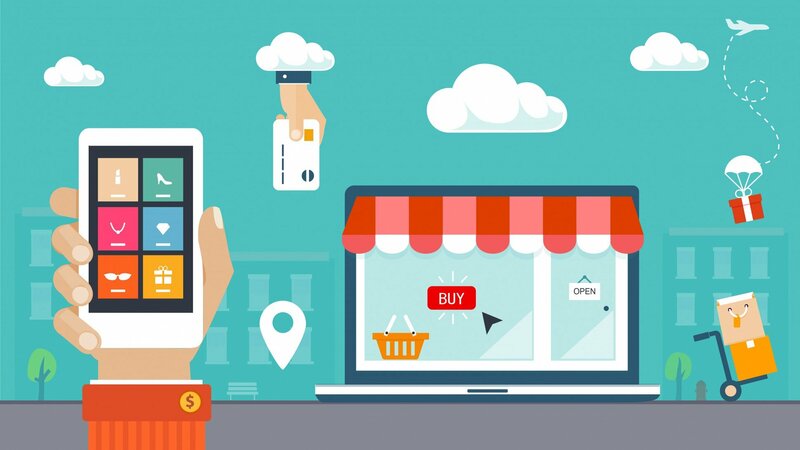 In the ecommerce industry, omnichannel marketing has been a prevalent theme across articles, social media, conferences, and general thought leadership over the past few years. Everyone is talking about it, but how many retailers are actually using it? How much of this is just theory, and how can we put omnichannel marketing into practice? 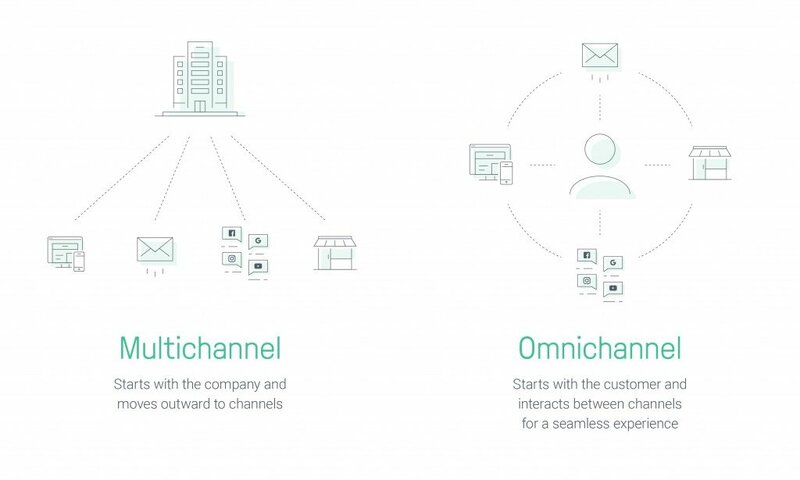 Omnichannel marketing is when you create a completely unified and seamless brand experience, no matter what channel your customer uses to connect with you. Today, to feel comfortable enough to make a purchase, a customer needs 7 touchpoints with a brand on average. This means that each and every time your customer connects with your brand, they move a little further towards purchasing. Omnichannel marketing ensures that each of those touchpoints provides the same experience with the brand. So for example, an omnichannel brand would provide the same look and feel, and experience for a customer that started a support ticket on their site, and then contacted via Twitter. Isn’t that the same as multichannel marketing? You might be thinking “Hey, that sounds just like multichannel marketing!” While the two are similar in name, the approaches are actually quite different. Multichannel marketing focuses on putting the brand at the center of the marketing strategy and then reaching out to several channels to be present for customers. So for example, an ecommerce store would have marketing operations going on simultaneously across their store, email channels, social networks, and display advertising. In omnichannel marketing, the focus is entirely different. Omnichannel marketing strategies put the customer at the center of marketing operations, and focuses on creating the same experience across channels. That might seem abstract, but consider this: in an omnichannel marketing strategy, each channel collects data about the customer based on the channel used, the customer, and the characteristics about the touchpoint itself. Customer discovers your site through organic search and begins browsing red shirts. Their email is captured with an exit intent pop up offering 15% off. The customer leaves. The customer opens the welcome email with the 15% off coupon and clicks through, looking at red shirts again. The customer leaves without purchasing. The customer gets an email a few days later with a variety of red shirt recommendations. The customer doesn’t click through. A day later the customer gets a retargeted ad on Facebook with the red shirt that interested them the most. The customer goes to the brand’s Facebook page and asks about shipping costs via Facebook messenger. The customer clicks through an email campaign from the brand and abandons the cart with red shirts in it. The customer triggers an automated email series and is offered free shipping with their first order. The customer comes back and finishes their purchase, triggering a new set of upselling sequences and automations. The key here is that the customer’s behavior and preference influence how their experience changes across channels. It’s clear that they like red shirts, so that’s what they’re shown. They are interested in free shipping, so that’s how the retailer clenched the sale. As they’ve purchased, they’ve entered into a new segment of customers who have made a recent purchase, and the offers they see will change. This means that omnichannel marketing creates a unique experience based on each individual customer, and that your channels work together by updating customer information based on preferences and behavior. Is omnichannel marketing better than multichannel marketing? Any strategy that puts your customer first is a great strategy- and omnichannel marketing is no different. By focusing on the customer, you’re centering your entire strategy around your raison d’être. And when you put the customer first, they take notice: customers who have an omnichannel experience spend 10% more online than those who only use one channel. Customers today are expecting an omnichannel experience, even if most of them don’t actually know that’s what they’re looking for. What’s more, they’re more likely to stick with a brand when they find it. According to a recent study, companies that have a strong omnichannel strategy have a customer retention rate of nearly 90%. By creating an omnichannel marketing strategy, you’re giving your customer what they want. When you do that, not only do they spend more with your brand, but they become more and more loyal. When implementing an omnichannel marketing strategy for ecommerce, there’s four main things you’ll need to do depending on how big your store is. When adopting an omnichannel marketing strategy, you’re ultimately changing the focus of your company to the customer. If you’re changing the central focusing of your company, it’s not just marketing that needs to be in on that change. This means that customer success, merchandising, and sales need to be a part of these plans. As channels and apps share customer data, so should you between the different departments of your business. A marketer creating automated campaigns should know what the number one question that’s asked of sales managers is, and customer success should know exactly what promotions are currently running. This means that customer data needs to be centralized so that each person, much like your channels, needs to be up to date on exactly who the customer is and what they’re looking for. One of the first things you need to do when you create an omnichannel marketing strategy is to audit your entire customer experience from each and every channel that a customer might use to connect with you. This means researching your products on a variety of channels to see what your customers experience, ordering from your store, and going through your own returns and refunds system (including a ticket with customer service). You should be testing engagement with each channel. Sometimes, we’re too close to our own processes to see potential friction. Bring in friends or family members to help you do these audits. Another great thing to do is to ask customers for feedback. 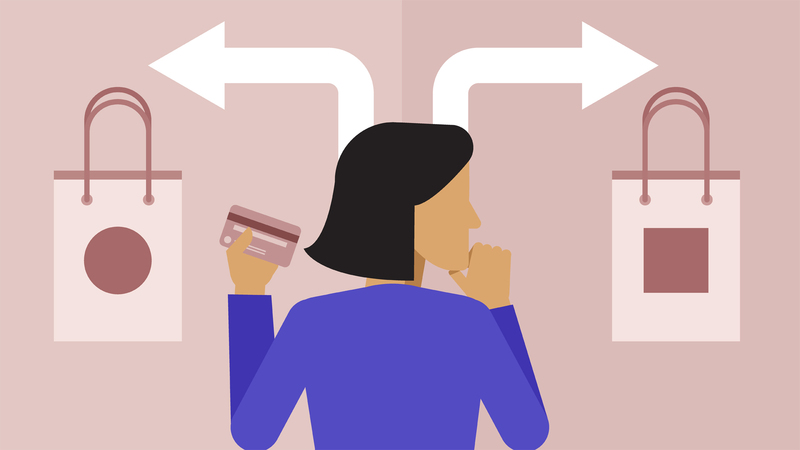 There is an opportunity for feedback at each step of the customer journey, though most retailers ask for feedback after a purchase has been made. However, many retailers and brands forget to ask for feedback after customer service interaction. A great omnichannel experience can include customer service too- think about it, wouldn’t it be nice to not have to re-explain your situation each time you reached out to customer service? After each customer service interaction, ask customers how they feel with a short NPS (net promoter score) survey. It’s low engagement, and it gives you an idea about how they’re feeling about your service. 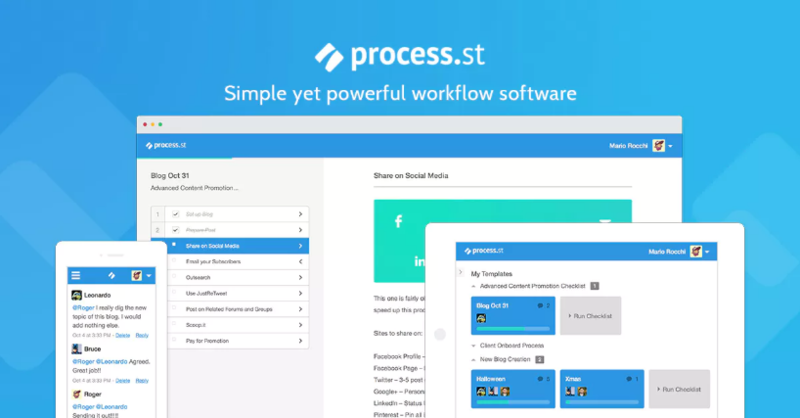 You can use Process Street’s template overview feature to help you easily gather data on your processes. The idea behind omnichannel marketing is personalization. You want your customers to feel like that email or message was written just for them (even if it wasn’t). When you use your customer data to personalize your omnichannel marketing campaigns, you will be able to send the right message, to the right person, on the right channel, at the right time. Segmenting your customers on profile data basically means splitting up your subscriber lists into a certain amount of marketing personas. You wouldn’t speak to a 45 year old man the same way you would an 18-year-old. They are going to have different buying patterns, different levels of disposable income, and different priorities. Treating them exactly the same doesn’t make for a very personalized, omnichannel experience. When you’re able to do this, you can create a great foundation for layering segmentation. When you layer segmentation, you can create hyper targeted campaigns by filing your customers through several funnels of segments and personalizing those messages and experiences even more. Another layer of segmentation can be based on campaign behavior, or how your customers react to the different campaigns you send out. For example, you could send different messages and try other tactics between high-engagement customers and low-engagement customers. It’s easy to set up campaigns that only go out to those who didn’t open or click through the last campaign. This way, your customer’s experience will change and adapt to exactly what they are doing, creating a more omnichannel experience. Shopping behavior segmentation is perhaps the way that most retailers are the most interested in. Of course, segmentation based on shopping behavior is what gives us browse and cart abandonment campaigns, but you can go further than that. A customer who is in the initial phases of their customer journey shouldn’t be receiving the same messages as another customer who is on the cusp of converting. That just doesn’t make sense. Instead, tailor your omnichannel marketing strategy so it sends different messages based on the stage in your customer journey. For example, a customer that has recently browsed your red shirts was particularly interested in one shirt, as they opened that page, checked your sizing chart, and looked at all of the photos in detail. That customer would likely respond better to a message containing that same shirt and a few other related items and a retargeting ad containing the product. However, a customer who perused your red shirt category but didn’t open any products might receive a different approach. Perhaps this customer might benefit more from having a message that contained shirts in a different color including popular red shirts. The point is to create different strategies based on the ways your customers behave. These kinds of messages are more likely to resonate with your customers because it feels more personalized. The only way to know what messages work for each of your segments and customer personas is through testing and measuring again and again. You have to measure your results at each step, not only to see what works best, but to see if your customers are appreciating the new approaches you’re putting into place. A/B test (or split test) all of the campaigns you can: test as many elements as you can from each of the campaigns. Measure your results and compare them for each campaign. You want to measure and test your campaigns as often as you can. Testing your campaigns is going to tell you where you can improve and where you’ll strike gold. Also, it’s good to switch things up when certain elements in your omnichannel marketing campaigns go stale. Keep your customers on their toes. To deliver a successful omnichannel marketing campaign you need to have a strong understanding of your processes. Your processes should be well structured throughout your company if you want to be able to measure and understand them properly. This is where Process Street comes in. Process Street provides workflow management and automation tools which can keep all your company processes in line and optimized. 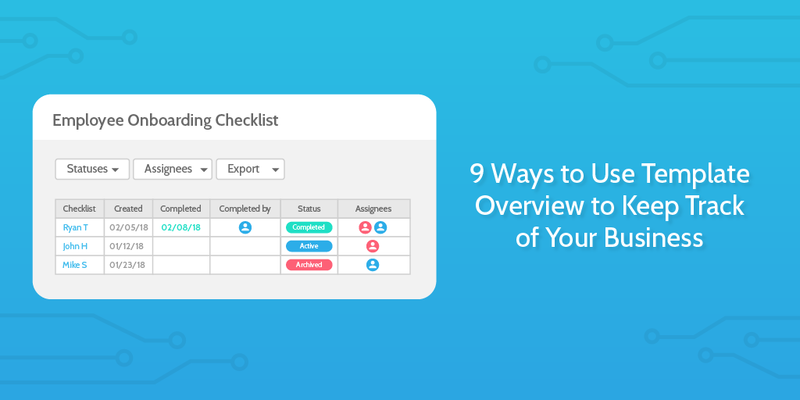 You create process templates for each of your business processes and run those templates as checklists each time you undertake that task in your organization. If one of those templates looks right for your business, simply add it to your account and get started with it today. If you don’t already have a Process Street account, sign up here. Implementing an omnichannel marketing strategy for your online store can seem like a lot to handle. However, when you do your homework on your customers, and you follow the tips in this article, you’ll do just fine. Get the entire company on board with omnichannel marketing. Consider it a lifestyle. Collect data from your processes, your customers, and their experience with your brand. Use the data you have from customers to personalize omnichannel marketing campaigns. Test each step of your campaigns to find the sweet spots that work best for your customers. When you create an omnichannel marketing strategy and unify your customer experience across the board, your customers will thank you for it by converting more often, spending more, and becoming more loyal. 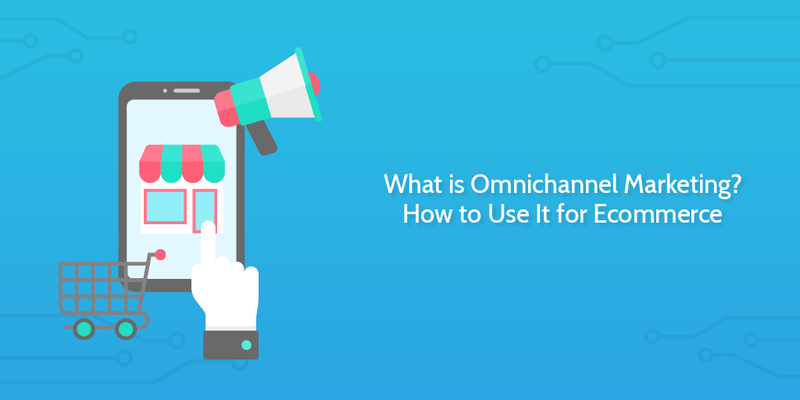 Have you used omnichannel marketing? How did it compare to other approaches you tried? Let us know in the comments below!